Professional TT tournaments are a great source of inspiration for amateur players. But where do the best players in the world actually play? Table tennis tournaments (sometimes incorrectly called ping pong tournaments) take place all around the world and so, with table tennis associations now in 226 countries and territories, there's bound to be a tournament taking place somewhere near you right now. But only professional players take part in the Major international tournaments. And it's these Major international table tennis tournaments that I'll be looking at here. However, there are loads of tournaments organised for amateur players, so if you need more information about local and regional competitions and tournaments taking place near you, contact your National Association and they'll be able to help you. But if you're looking for information about how to organise your own table tennis tournament, take a look at my other articles. Table tennis is one of the largest participation sports in the world so there are local, regional, national, continental and international tournaments taking place all around the world. And since table tennis became part of the Olympic Games in 1988, the sport is gaining in popularity every year. So let's now take a look at the Major tournaments for professional players. 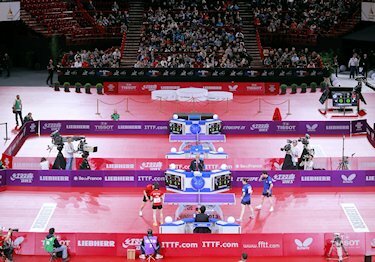 The International Table Tennis Federation (ITTF) governs the sport and therefore they set the official table tennis rules and regulations and award the organisation of Major tournaments to affiliated organisations around the world. Players competing in these events are usually nominated by their National Association and therefore their National Association may also pay their entry fees and other expenses. You'll find a calendar of international events here and you can get all the results of the Major tournaments by following the links below. The results from these tournaments also enable the ITTF to produce a monthly world ranking list (sometimes known as a rating list). 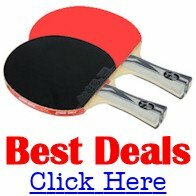 So what are the Major professional table tennis tournaments? The two biggest tournaments for professional table tennis players are the Olympic Games and the World Championships. 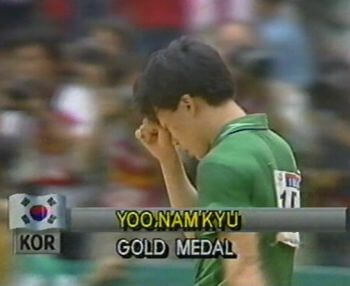 The World Table Tennis Championships started in 1926 in London, England with Hungarian Roland Jacobi taking the inaugural men's singles title, whilst Yoo Nam Kyu became the first winner of the Olympic Games Table Tennis title when it became an Olympic Sport in his home country of South Korea in 1988. The World Championships is considered to be the most important event by some players, whilst the Olympic Games is favoured by others because it's only held once every four years. But what other Major tournaments are there? The top players also play in many other international tournaments throughout the year such as the World Cup, the World Team Cup and the series of tournaments which make up the ITTF World Tour. The list of competitions just goes on and on. Some of the other significant tournaments are the Pan-American Games, the Commonwealth Games, the Mediterranean Games and the Arab Championship. If you get the chance to go to any Major table tennis tournaments I would urge you to go. They provide great inspiration for any player, or prospective player, as you get to see the best players in action, close up. 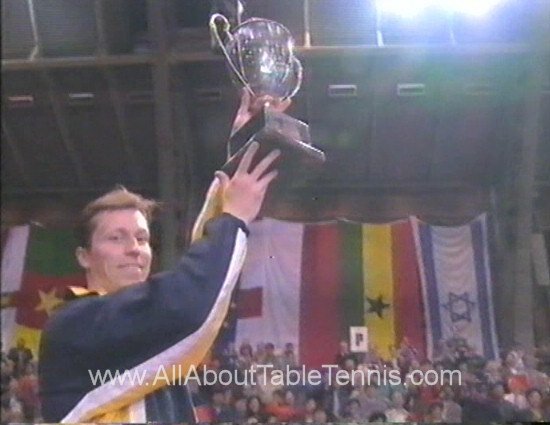 I've been fortunate enough to attend some of these big events and in particular I remember the World Table Tennis Championships in Manchester, England in 1997 when the Swedish table tennis legend Jan-Ove Waldner won the men's singles title without losing a single game. Awesome. You can also watch videos of many of these top tournaments and although it's never as good as being there yourself, they're well worth watching as you can learn so much about the subtleties of this great game. Another benefit of going to these table tennis competitions is that you get to see many of the table tennis manufacturers and have the chance to look at their table tennis equipment and try out different rackets (paddles / bats) etc. But what about the amateurs? If you're a mere mortal like me, and you don't play the game like the Chinese table tennis professionals do, there'll be local and regional competitions taking place near you which you can play in. If you need more information about local and regional competitions taking place near you, contact your National Association and they'll be able to help you. I've played in lots of table tennis tournaments over the last 40 years, and I've also organised quite a few local events as well. So, if you're looking for information about how to organise your own table tennis tournament you'll find all the details here.